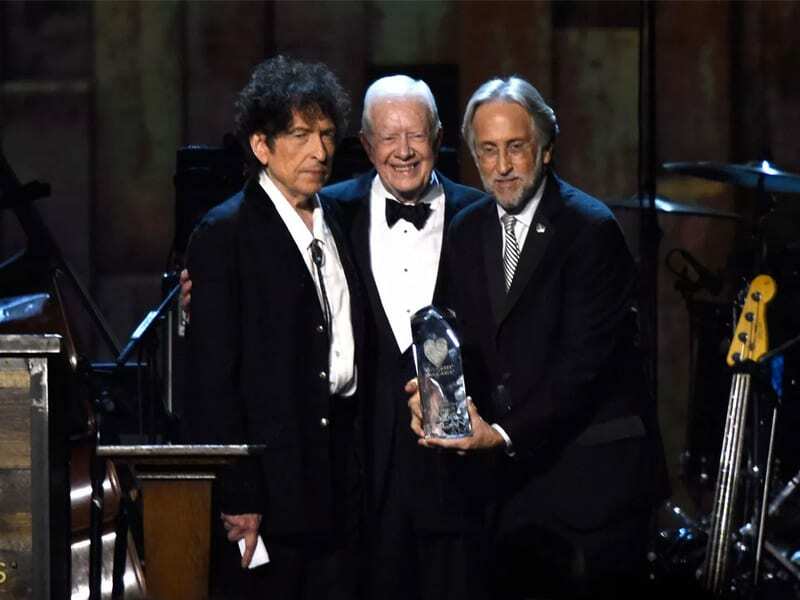 Former US President Jimmy Carter won a Grammy award Sunday night during music’s biggest night. President Carter was born in Plains, Georgia, and served as 39th President of the USA. He and his wife, Rosalynn, founded The Carter Center, a nonprofit organization that helps to prevent and resolve conflict. The organization also aims to enhance freedom and democracy and improve health around the world. He is the author of 30 books including “A Call to Action: Women, Religion, Violence and Power,” and many more. 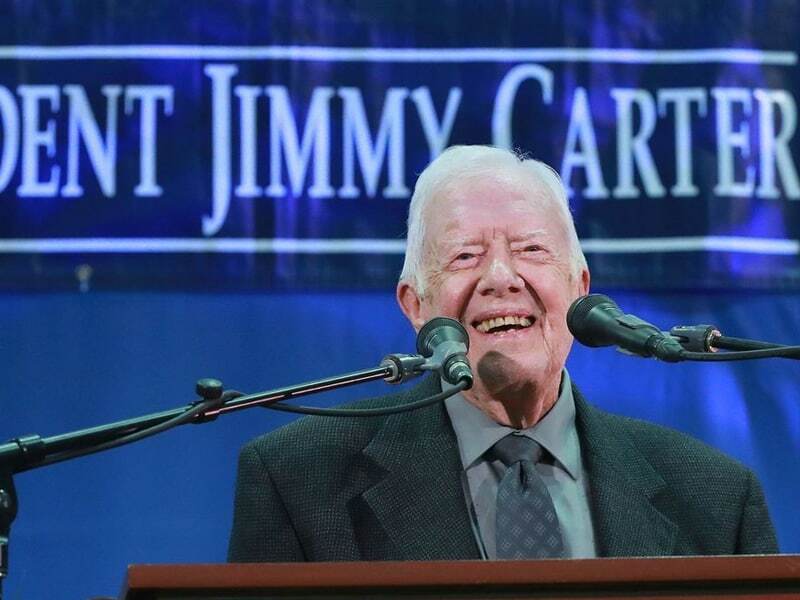 He has won his third Grammy award for his spoken word album “Faith – A Journey For All.” In this biography, President Carter contemplates how faith has sustained him in times of happiness and disappointment. “The issue of faith arises in almost every area of human existence, so it is important to understand its multiple meanings. In this book, my primary goal is to explore the broader meaning of faith, its far-reaching effect on our lives, and its relationship to the past, present, and future events in America and around the world. “The religious aspects of faith are also covered, since this is how the word is most often used, and I have included a description of the ways my faith has guided and sustained me, as well as how it has challenged and driven me to seek a closer and better relationship with people and with God,” he wrote. 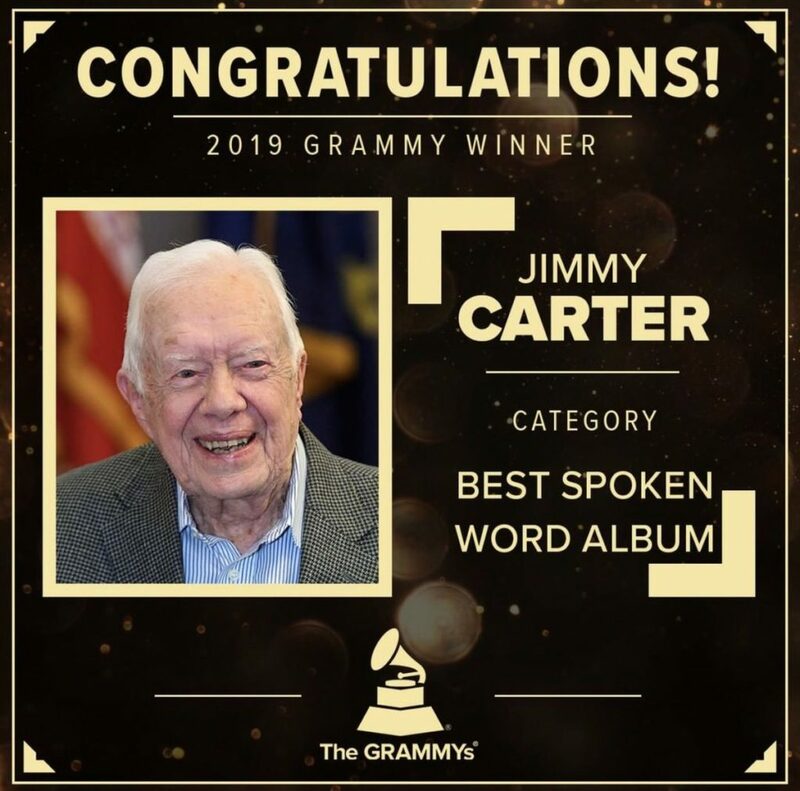 Jimmy previously won Grammy awards in the same category. “A Full Life: Reflections at Ninety” in 2016, and “Our Endangered Values: America’s Moral Crisis,” in 2007. At the age of 94 years old, the former president still has a lot to offer.